Happy Father’s Day! 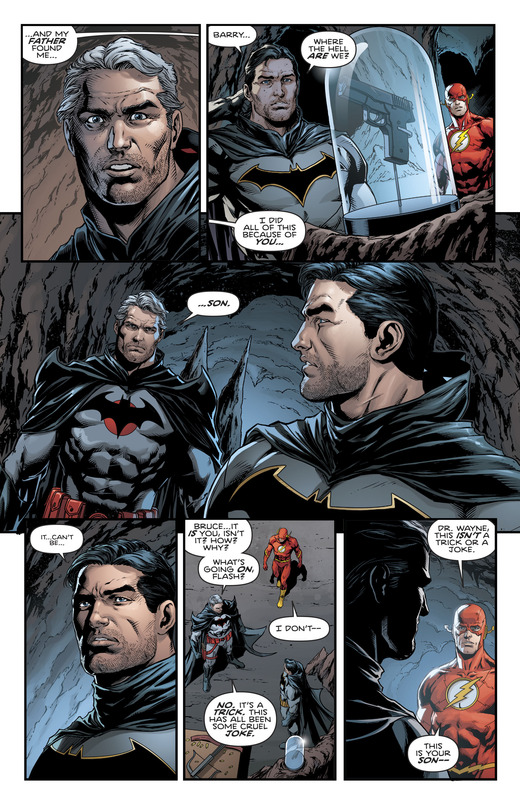 Here’s a great tidbit from Batman # 22 where Flashpoint Batman Thomas Wayne gives a few fatherly advices to his son, Bruce Wayne. 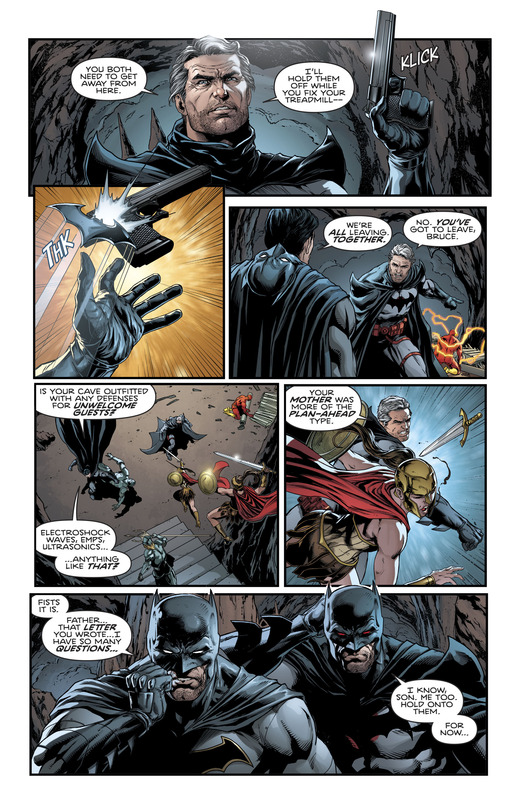 This is The Button part 3 and it starts with Thomas getting ready to blow himself and his would be assassins [made up of Atlanteans and Amazons] inside Wayne Manor. 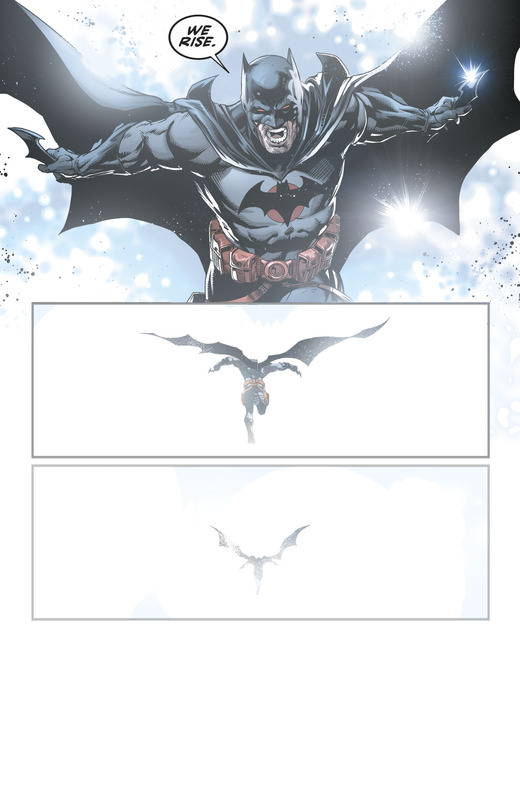 Before he does press the switch Flash and Batman materialize out of nowhere and the drama ensues. 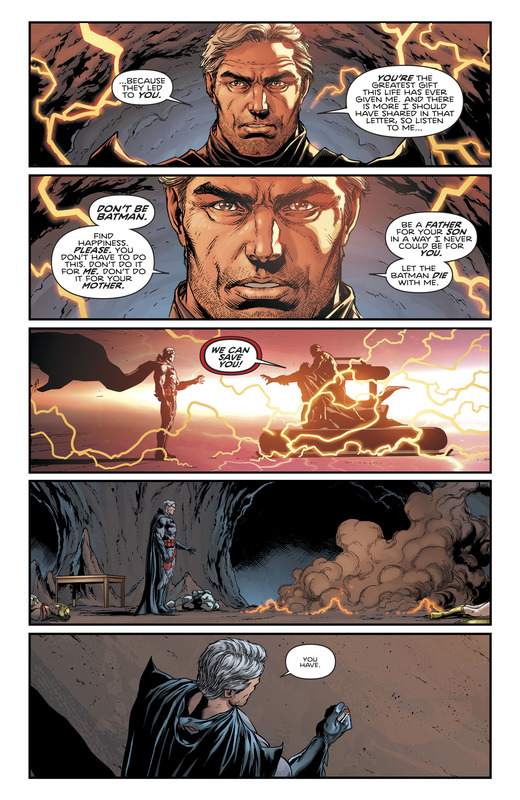 Bruce already sees his aged father but doesn’t immediately confronts him. 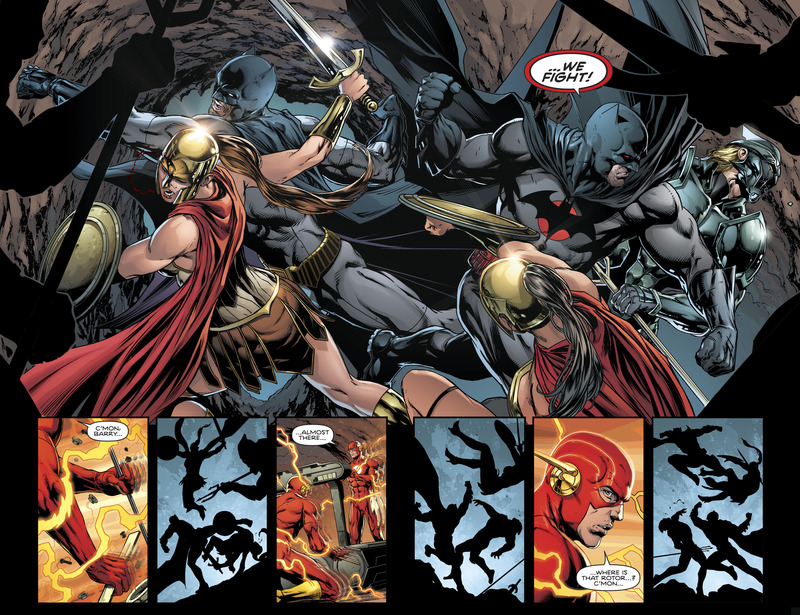 We also relearn that Flashpoint isnt an alternate timeline but rather an alternate history of the DCU. Before any conversation gets done they also get up to speed at what is happening at the moment. 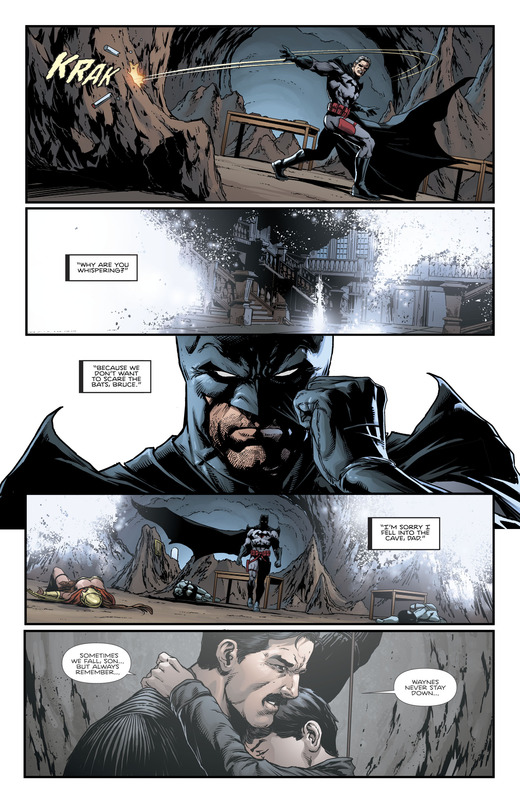 Thomas gets ready to fight and draws his gun which ofcourse is not happening while his son Bruce Wayne is around. What follows is a serious beatdown from the Batmen. While Flash works on repairing the cosmic threadmill. 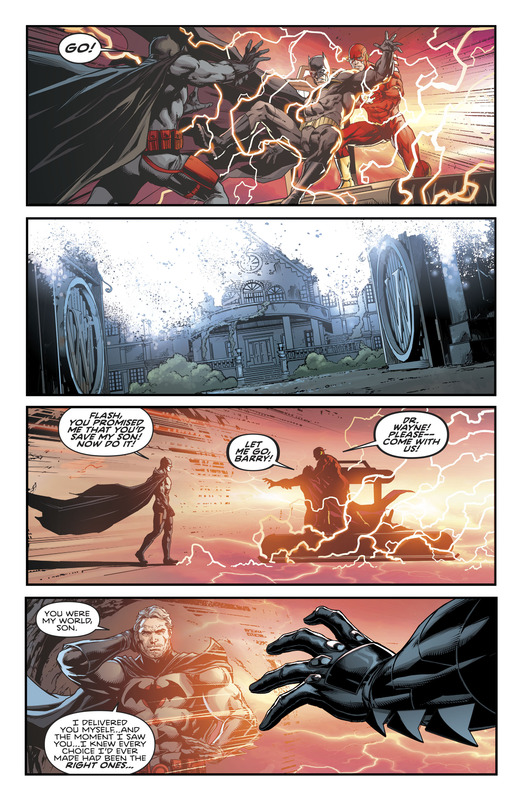 When the fight ends its time for Bruce to get his answers from his father. He also lets his dad know that he’s already a grandfather. Thomas doesnt want to see his son perish with the reality they’re in so he plays the sacrifice card. 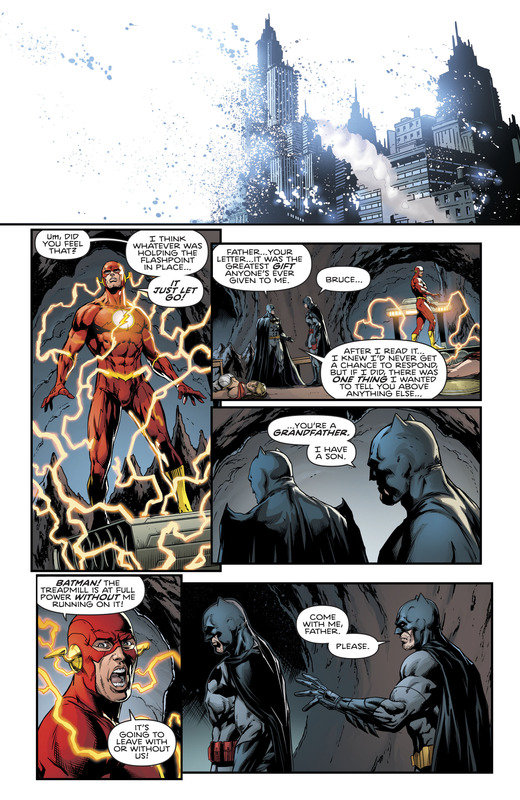 As the scarlet speedster and the caped crusader resume their journey to follow Reverse Flash, Thomas gets his bravery back and presses onward into oblivion, into the void with the rest of Flashpoint. Waynes never stay down. We rise. 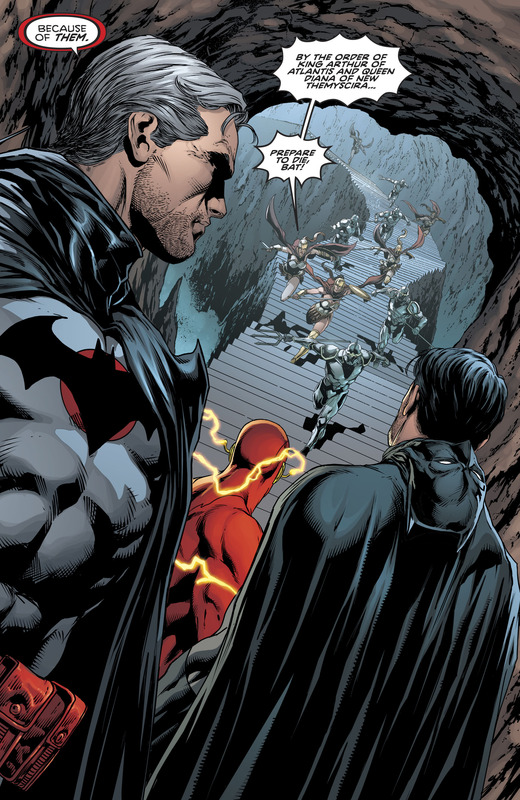 Batman # 22 written by Tom King with art by Jason Fabok.